McCray's Tavern - McCray’s Tavern has redefined the classic American bar and grill. McCray’s Tavern has redefined the classic American bar and grill. 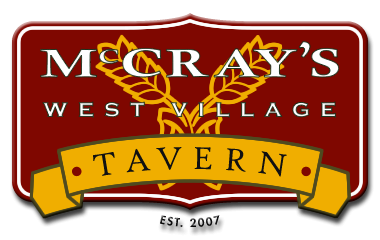 McCray’s Tavern, a favorite local hang out in both Smyrna and Lawrenceville, features a broad selection of entrees, from creative and mouthwatering burgers and sandwiches to huge salads and taste tempting full entrees, in a fun, family friendly neighborhood tavern setting. With over 40 beers on tap at each location and a broad selection of craft beers, McCray’s Tavern has redefined the classic American bar and grill.